As an outside volleyball hitter one of the smartest things you can do is.....not hit the ball hard every time you go up for a spike. Sounds weird, right? 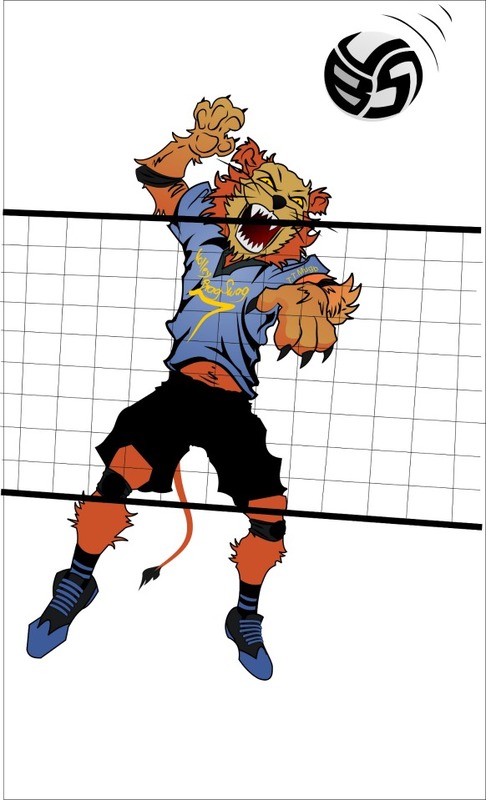 After all, the whole idea behind spiking a ball, is to hit the ball hard right? Wrong. You want to pick the right moments. Check this out. Yes, I know that sounds contradictory...a hitter who doesn't hit the ball, what is that?. Well, as funny as it sounds, this strategy may be the one that turns you into one of the savviest point scoring players on your team. 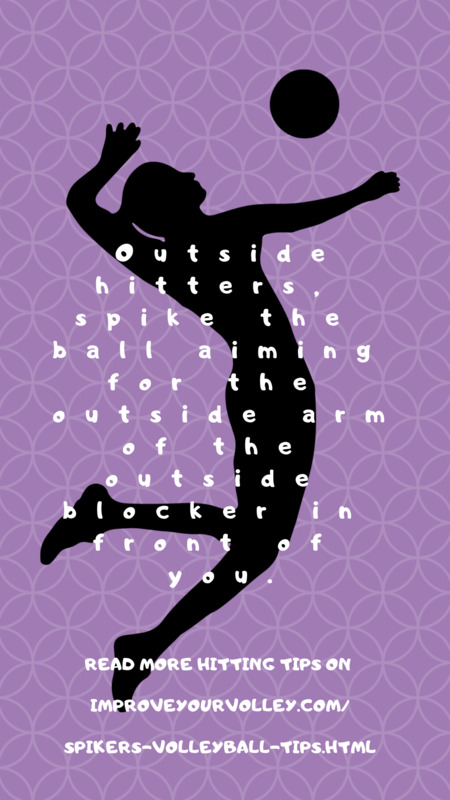 Mixing up your shots is one of the smartest things you as an outside hitter can do to improve your hitting efficiency. 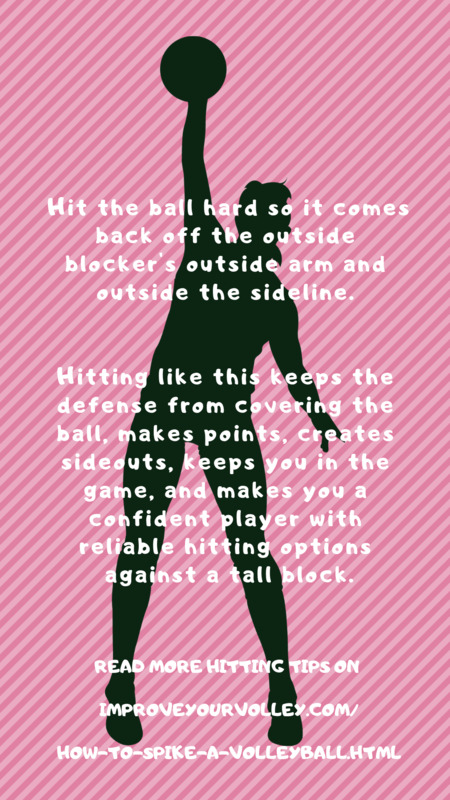 The smart outside volleyball hitter will mix up shots so that it forces the opposing team's block to keep guessing about what's going to happen next. Blockers will have to keep figuring out what kind of defense they need to use against the hitter. What Does 'Mixing Up Your Shots' Mean? 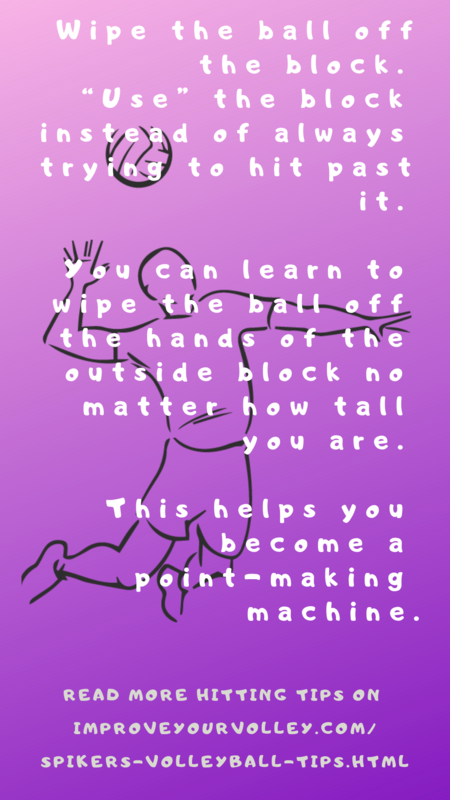 I was a left side outside volleyball hitter and for years I spent many hours learning how to spike the ball....hard. That's all I did for hours in practice. Hit, hit, hit and hit some more. But a smart player who I looked up to, taught me the importance of creating a variety of different shots to use in different situations. Because, as she explained to me, there will be that day when for whatever reason my spikes just wouldn't get past a particular block. It happens to every outside hitter. Sooner or later against one particular team your spikes just won't work. their defense just finally figured you out.. So you need a plan B. When that day comes and your normally hard hits aren't working for you, how are you going to be effective? How are you going to score the points that your team expects you to? able to place the ball short, right behind the block. When I say "mix up your shots" that means you develop a "bag of tools" or a variety of ways to attack the ball, so that when the block stops your power game, or you want to really keep the opposing team guessing, you have the option of using your finesse game to still score points against the opposing team. The best way to decide when to start mixing up your shots, is to get in the habit just before you spike the ball of looking to see where the opposing team's defensive players are positioned in their court. You should identify how far back their defensive players are when your other teammates are hitting or better yet, ask your defensive players to tell you how far back the other team's defensive players are playing or if any of them are playing defense right behind their blockers. This is a fast way that you can get clues. Use your teammates to help you. Get them to indicate to you when is the best time and where is the best location to tip, roll shot or to softly place the ball into the opposing team's court. Get them to be your eyes since your back row will see the opposing team's court easier than you will. 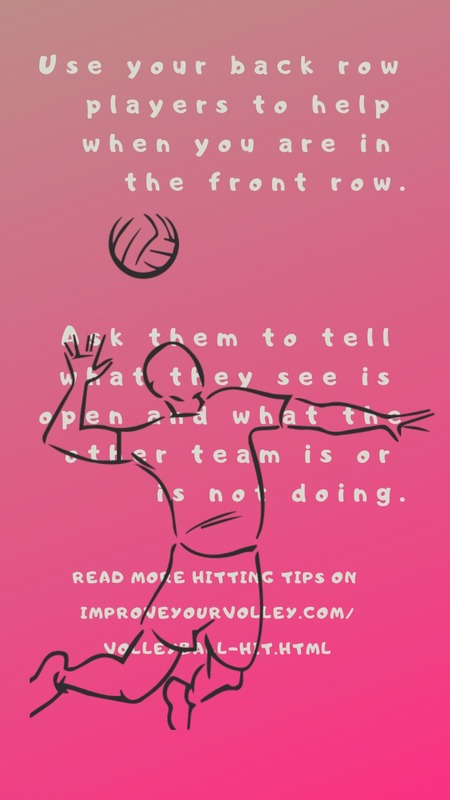 Communicate with your back row players by asking them "what's open?" 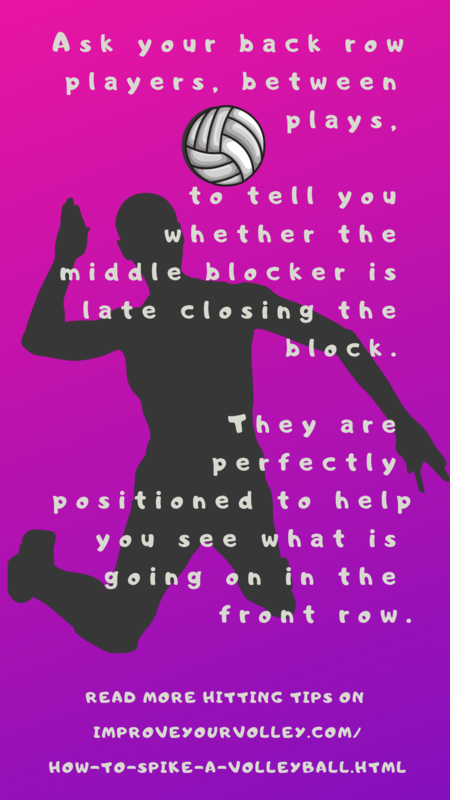 This is how you can have your back row players help you develop effective attack strategies as an outside hitter in volleyball. Use them to ask questions about the other team's defense. They aren't there just to dig. They can help you out as you rotate through the front row. 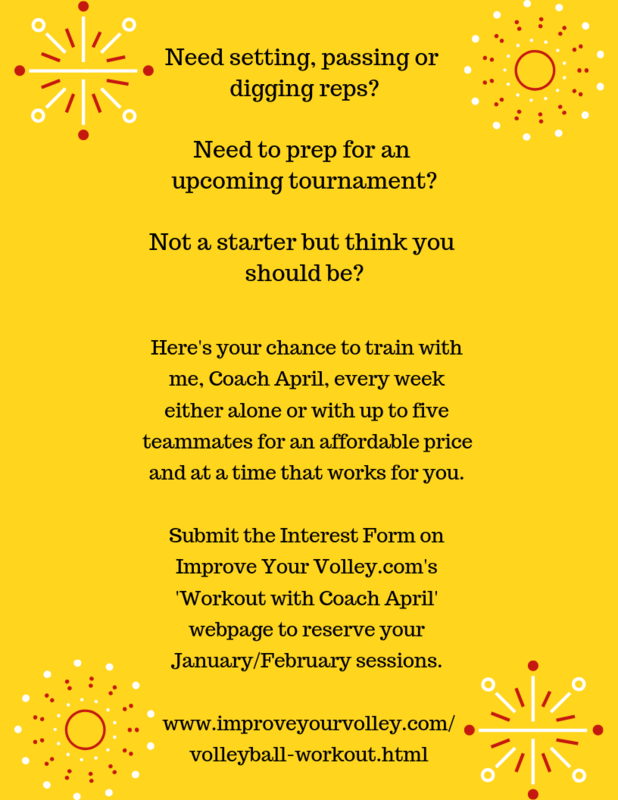 Find out more about volleyball communication on the court. You don't have to rely on just your coach to tell you where to hit the ball or what spaces are open. You can use your back row players as your "seeing-eye" people to help you identify where your tips or roll shots will fall. 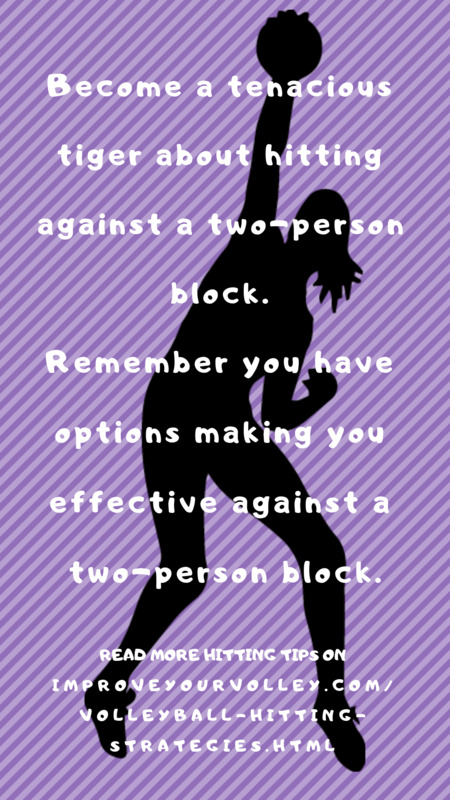 So remember, if you've been blocked a couple of times in a row, as an outside volleyball hitter feel free to ask your back row players for some feedback on where to attack the ball. 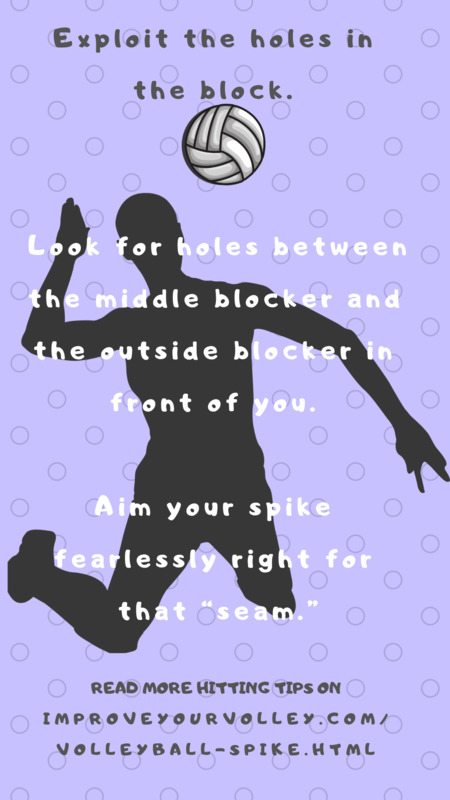 This is a way to help you decide on which spiking strategies to use as an outside hitter in volleyball. Watch as the Canisius Griffs volleyball team explain the important role and the responsibilities of the volleyball hitter on a team. 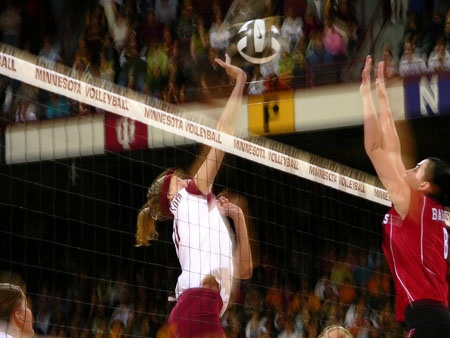 Learn more about Hitters and Spiking by exploring the Related Links below. Reintroduce yourself to Mr. TT. MUGB, #7 , the left side outside hitter and for the All Beast VolleyBragSwag All Star Team. 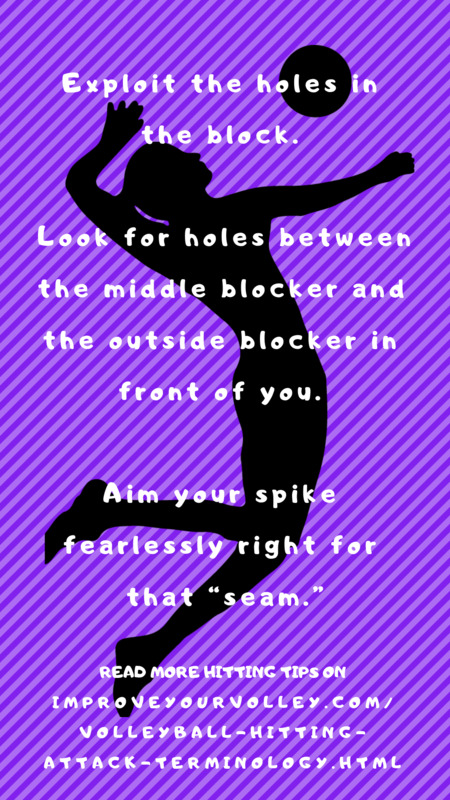 Volleyball Hitter Tips Just For you!